The Sent Messages area keeps a record of all previously sent messages. It lists the specific date and time, the type of message sent (email or SMS), the message subject and the number of recipients. You can also read the message content. 1. 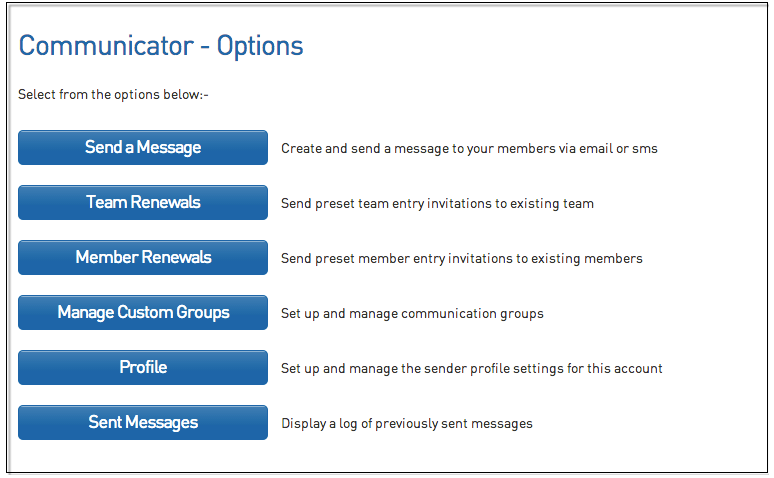 From the association, club or team level of Membership, click on Communications in the menu. 2. The Communicator options will open. Click on Sent Messages. 3. A list of sent messages will be displayed. From this list you are shown the date/time, type of message, message subject and number of recipients. For more details, click on the View icon next to the message. 4. The message content will appear. At the bottom of screen the number of recipients is shown as well as the individual emails the message was sent to.